We took this little Smarty, Jameson (20 months old), in for a haircut and as soon as I walked in, I wanted to get a haircut too! 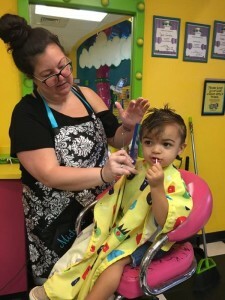 Snip-its has created a fun, toddler haven with wonderful staff who obviously love kids. They seem to have the patience and ability to deal wonderfully with the uncertainty of toddler moods and attitudes. 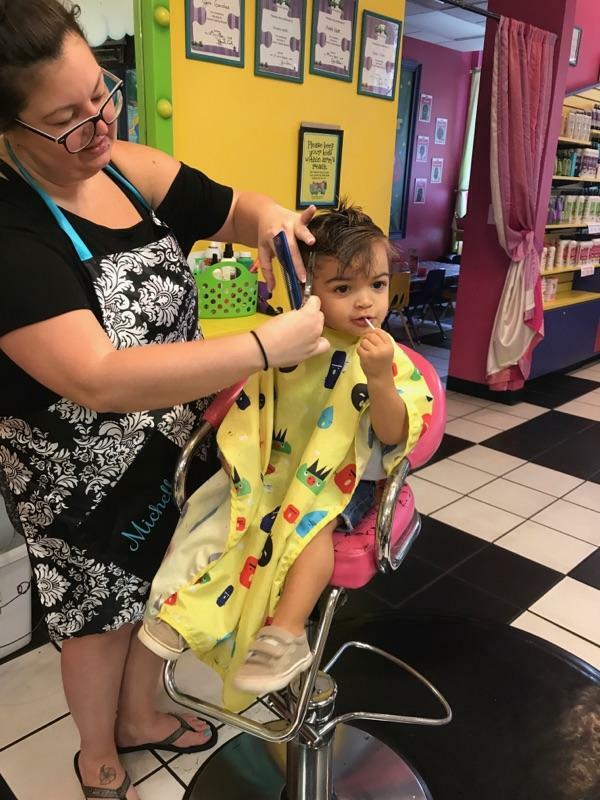 Each station is equipped with a TV and video game console that kids can play or watch a movie while they get their haircut. Jameson was handed a nifty car that seemed to keep him occupied and the lollipop was a welcome treat, as well. Snip-its definitely knows the way to a child’s heart…snacks, cartoons and toys. 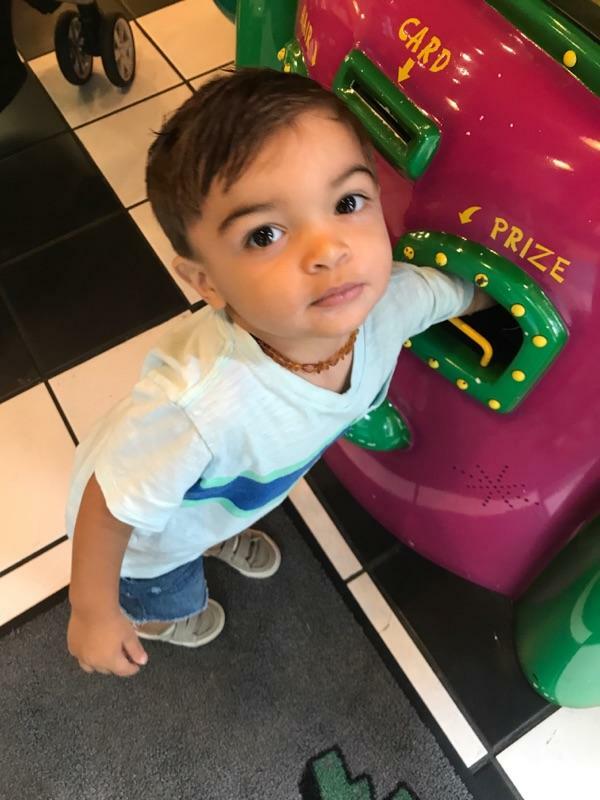 After his haircut, Jameson used a “passport” to retrieve a surprise from the Snip-its Prize machine. 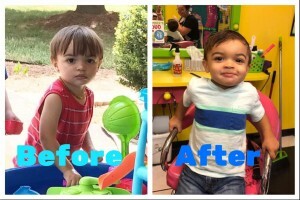 Overall this was a great experience; great haircut, happy toddler and mom, wonderful staff! 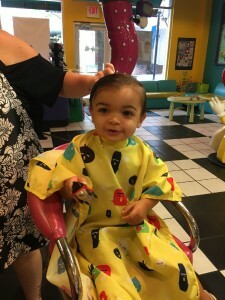 I will definitely be bringing my girls here for their first haircut. If you’re looking for someplace to bring your little ones, I highly recommend giving Snip-its a whirl! Pricing: Starting at $13.99 for your first visit and haircuts for $18.99 after that.